Metric Insights provides mobile apps for both iOS and Android. The mobile experience is built around viewing and collaboration. Content can be viewed, shared, comments can be added, and Alerts can be processed. 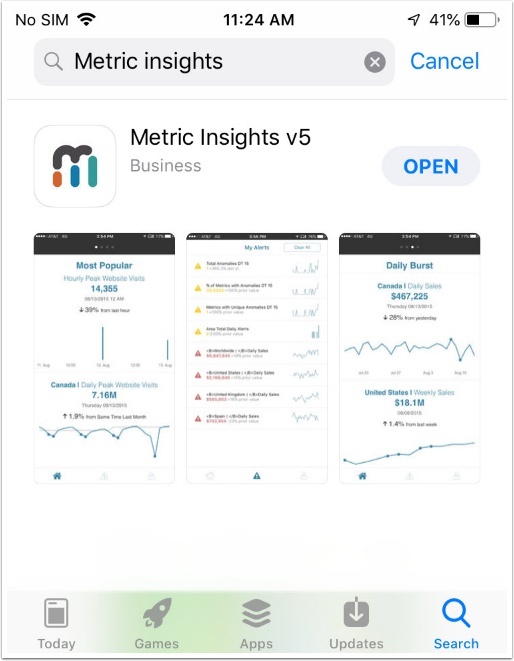 The Metric Insights Mobile App provides quick access to your Metrics, Reports and other content. For further details, see Understanding what is accessible via the Mobile App. The mobile application is designed to be the smaller sibling of the main web application, wherein there is a close relationship between each, allowing settings for the Mobile App to be edited from the Web App. Technical Notes: For both iOS and Android, the mobile app is a hybrid of native code and HTML code that is rendered inside the application (Metrics, Reports, External Reports, and the content displayed Executive Brief is all HTML code). By the end of 2019, the entire application will be written in native code. 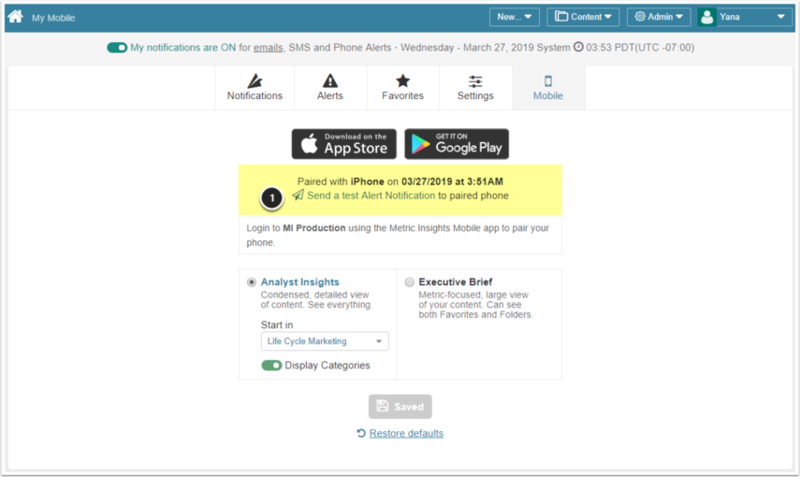 To use the phone tray alert capability, where Metric Insights pushes alerts to your phone, you will need to open connectivity from the Metric Insights server to the Apple Gateway on the internet. 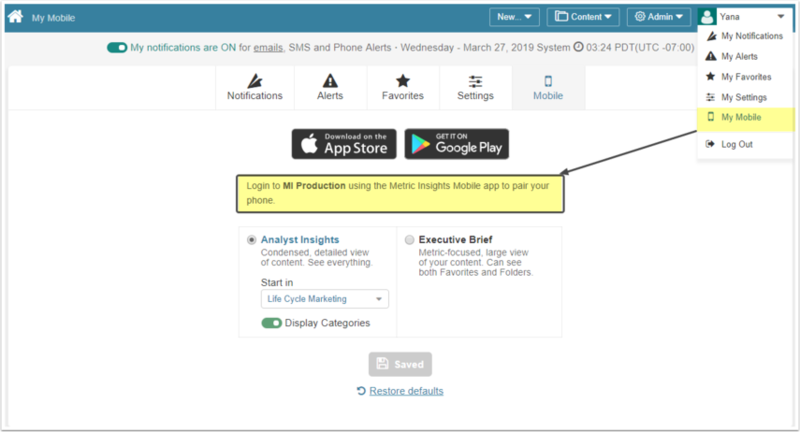 To use the phone tray alert capability, where Metric Insights pushes alerts to your phone, you will need to open connectivity from the Metric Insights server to the Google Gateway on the internet. From your phone or other mobile device, download the mobile app from the App Store for iOS, or Google Play for Android. The app is named Metric Insights. Launch the mobile app and update the Instance URL to your Metric Insights instance (e.g., https://metrics.mycompany.com). In your user Preferences, you will see this screen if you have not signed into the mobile app. 1. In your user Preferences, you will see this screen if you have successfully signed into the mobile app. You can then Send a test Alert Notification to the phone using the link on this page.